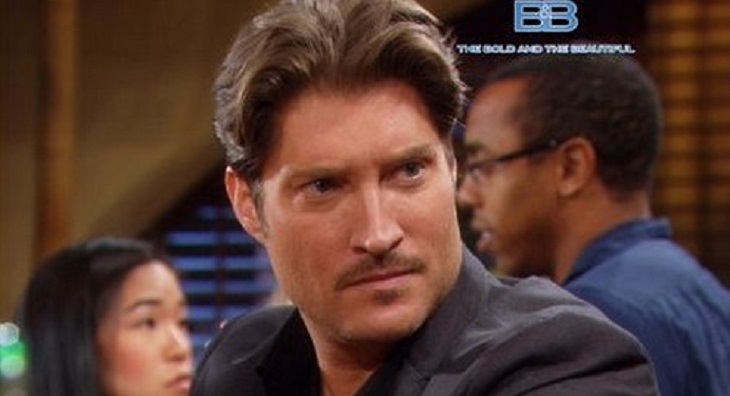 The Bold and the Beautiful (B&B) alum Sean Kanan, the actor who played Deacon Sharpe, checks in with his fans and he reveals his alter ego Deacon fate on B&B. Even though the actor has not been contacted with CBS, he has stayed busy with other projects, including writing a book. Kanan said working for CBS was one of the best experiences of his life. And, playing Deacon was always a great time. He has fond memories of working with the Y&R cast and Rena Sofer (Quinn Fuller) during his B&B time. “Deacon is the best role I’ve ever played on television. I have nothing but fond memories of my time on both CBS soap operas,” Sean explained. As for how Deacon would react to Quinn and what’s going on the soap currently, he thinks he would be angry all around. First, he would be so hurt for his daughter, Hope (Annika Noelle) and the heartache she is feeling. And, then, he would have an ax to grind with Quinn and probably, Bill Spencer (Don Diamont). Kanan has stayed busy writing a book titled Success Factor X. He is actually considering writing a second book, and his first book will not be released until March! As for acting, Sean has multiple projects in the works. One is a film titled Dark Stories, which he pays a detective who is investigating a very difficult case. Sean is also working on a dramedy called The Bubble, a series that he penned himself. It’s about an aging soap opera star that wants more out of life. He discovers he has a teenage daughter that he never knew about. Would you like to see Deacon Sharpe return to Bold and the Beautiful? Stick with us for more The Bold and the Beautiful (B&B) spoilers, news, and casting updates! Days of Our Lives Spoilers: Ben Knows The Truth, Can He Stop Jordan Before It’s Too Late? General Hospital Spoilers: Ryan Kills Griffin In Jealous Rage After Busting Ava With Her Former Boyfriend?